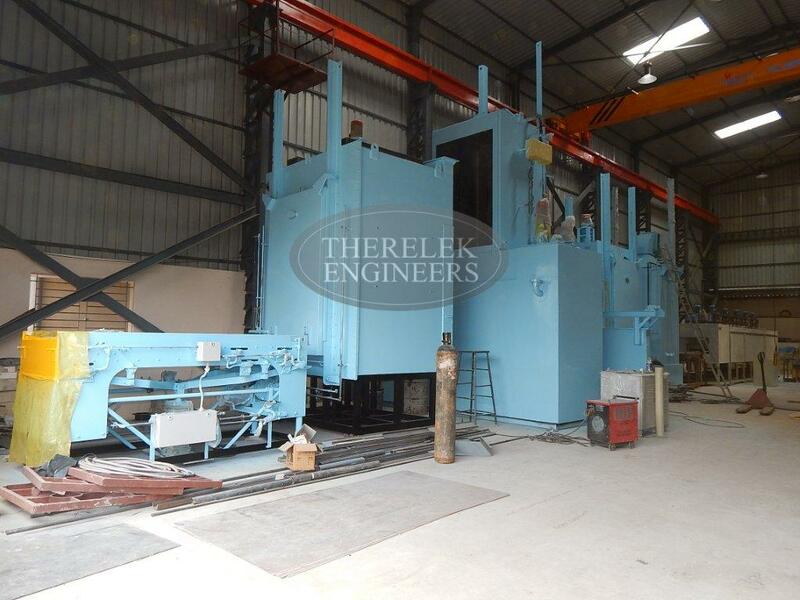 Therelek’s sealed quench furnace line consists of preheating and tempering furnaces, washing machines, stationary table, hydraulic lifts and charge transfer systems. 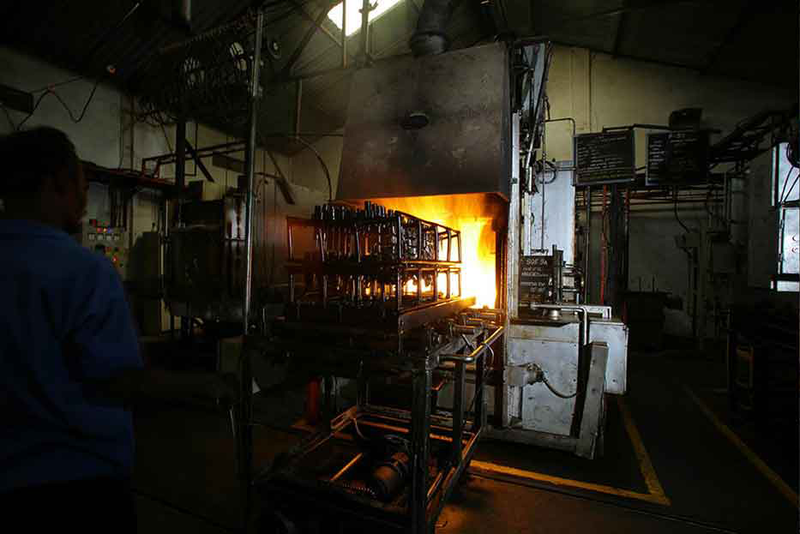 One can use our sealed quench furnace for various applications like case hardening and carburizing, carbonitriding, normalizing, annealing, ferritic nitro carburizing, annealing and stress relieving. Components generally used are gears, shafts, bearings, fasteners, tools, castings, forgings, agricultural machinery components, construction and precision machinery components. Our sealed quench furnace has pneumatic operated doors with wedge locking in the front and stainless steel inner casing. Extremely safe and simple to operate and maintain.